This beautiful salad could be a meal in itself but I decided to try it with some left-over shredded beef which I had made the day before. 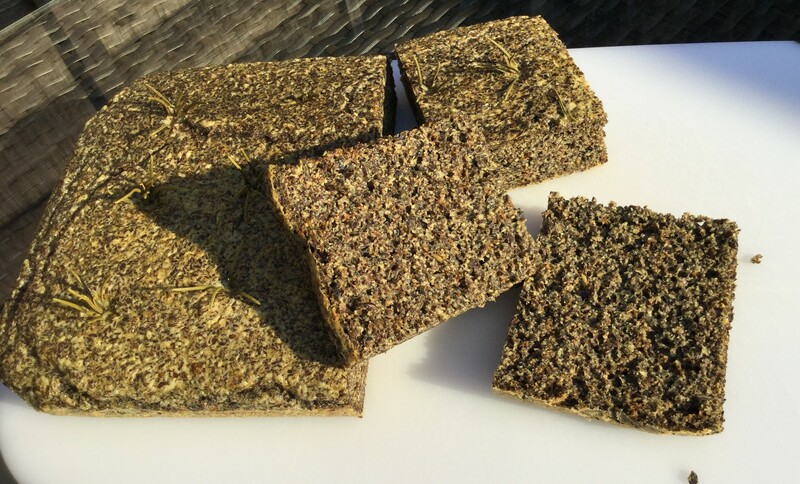 Instead of pitta bread, I served my beef on some toasted flaxseed focaccia which was freshly made. I didn’t use Golden Flaxseed this time so my bread was a little darker, if not tastier. I also used Avocado Oil instead of olive oil making it extremely ‘moreish’. This focaccia is fast becoming a favourite of ours as it is so versatile. The salad is a really interesting mix of sweet, slightly savoury, slightly tangy and slightly creamy ingredients with the added crunch of the pomegranate and sesame seeds. So easy when you know how….. 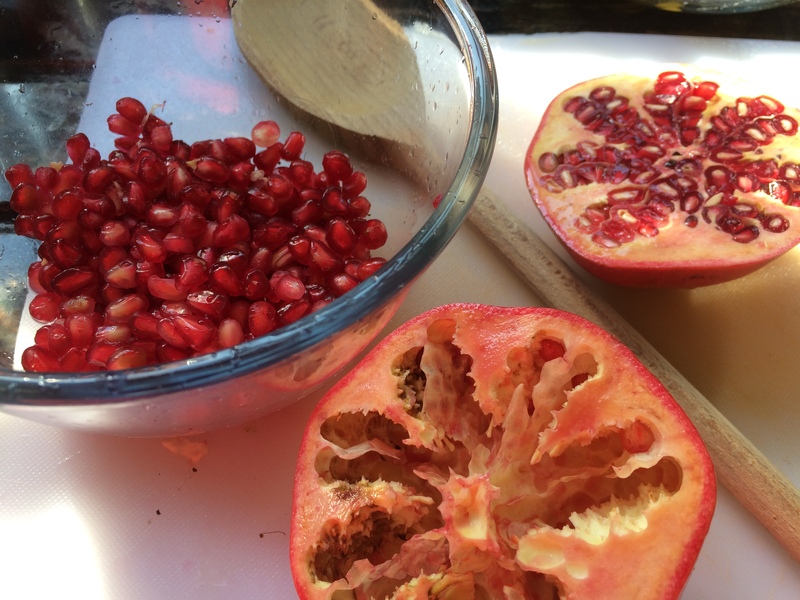 I used to struggle getting the seeds out of a pomegranate – cutting it into pieces and trying to get the fiddly little things out. Then I saw Jamie Oliver showing just how easy it was to cut the pomegranate in half, hold it in one hand and bash it with a wooden spoon. The seeds just fall out like magic. Everytime I bash a pomegranate, I think of him doing it and say a big thank you. Cook the quinoa according to instructions and allow to cool. I often cook my quinoa in beef stock for added flavour. Meanwhile, peel the mango and cut into bite-sized pieces. Do the same with the avocado and pop it all into a bowl together with the sesame seeds, pomegranate seeds, lemon juice, tamari, salt and pepper. Add the quinoa once it has cooled and gently mix all together. Serves 2 as a main dish, or 4 as part of a selection of salads. 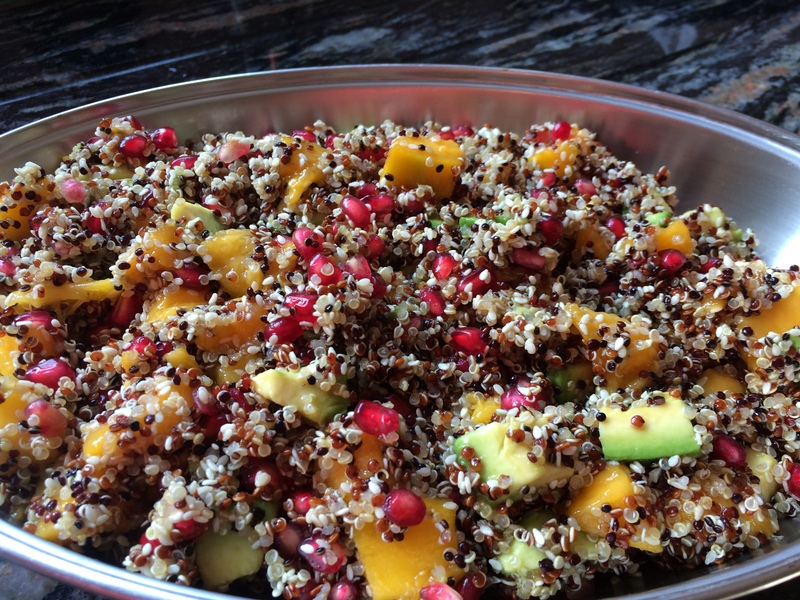 This entry was posted in Salads and tagged Avocado, Gluten Free, Healthy Eating, Mango, pomegranate, Quinoa, Salad, Sesame Seeds, Vegetarian. Bookmark the permalink.